Women buyers now account for more than half of all car sales, and they influence more than 80 percent of car purchases. Yet one out of three women feel apprehensive or overwhelmed when they shop and buy a car. 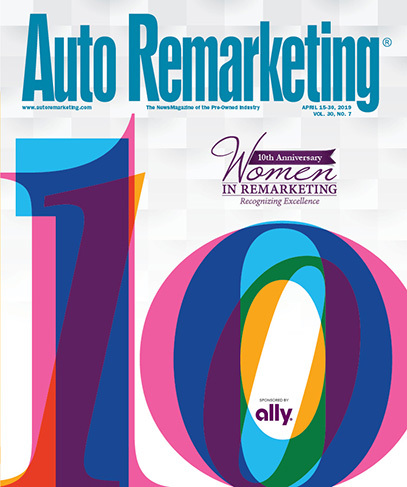 Less than 40 percent of women car buyers feel confident about the process. A full 75 percent of women feel misunderstood when shopping for a car, according to the 2015 U.S. Women’s Car Dealership Report from Women-Drivers.com. Car buying is a challenging process for everyone, and women have different buying habits than men when shopping for a car. Women rank trust and respect at the top of their list when it comes to choosing a sales adviser. Women are 50 percent more likely to read reviews about cars and prefer to read reviews written by women. 1. Learn additional ways to convey trust and respect to women shoppers. Trust and respect are emotions, and they are formed in subtle ways. At the core of building trust and respect is the ability to listen and respond to what a woman is saying. Listen, don’t lead, and pursue a goal of truly understanding what a woman buyer wants in a car. After all, she is in your store and she is there for a reason, even if she isn’t purchasing today. 2. Understand the differences in the ways women shop and choose a car. Women are less likely than men to choose a car based on status. Women choose a car that can get them from point A to point B. Safety and reliability are important to women car buyers. Sales advisers who understand and respect these needs can boost confidence by supporting a woman’s choice in a car. 3. Support a woman’s decision-making process. When women decide to buy a car, only one in 10 women know which car they want. What this means is that a woman has a list of needs and desires in a car, and she wants to find the best fit for that list. This isn’t indecision, it is a smart and more open way to shop. A savvy sales advisor will create a “decision tree” that helps reduce the list of cars to the best choice. Following a logical decision-making process will help a woman feel she bought the right car, reducing any buyer’s remorse that might happen if she came to a decision too quickly. 4. Create a supportive car-buying process that begins long before a woman enters the showroom door. Be sure that satisfied customers are encouraged to write reviews of their buying experience; pay extra attention to encouraging women to write reviews. Why? When satisfied with their purchase, their scores rate higher then men, and they acknowledge their dealership and sales person with rave posts. Use your reviews and reputation in your advertising so this buying segment puts you at the top of their list. Be sure that your dealership’s website targets women buyers by focusing on what matters to them. Create a special area of the website devoted to safety and reliability. 5. Actively recruit women sales advisers. Sales advisers should have a similar profile to their buyers People prefer to buy from people that are similar to them, and it conveys respect and trust when women see other women in the dealership. What’s in it for a dealership that incorporates these strategies into their sales programs? In the United States, 500,000 women will be in the market for a car in the next three months. Taking the time to incorporate programs to actively boost confidence in prospective buyers means that your dealership becomes a trusted destination for women. The benefits don’t just stop when a woman finalizes her car sale. A woman will own her car for another five to eight years, and will choose to service her car at a store she trusts. A confident, satisfied buyer who has written a positive review of her experience can influence countless other women to follow her lead. And, when that confident, satisfied buyer decides to purchase a new car, the loyalty created during her engagement with your dealership will bring her back in the showroom door to start the process all over again.